Malibu already have a couple of ready to drink cans including the more normal end of the scale with Malibu and Cola to the more exotic Malibu and Pineapple. 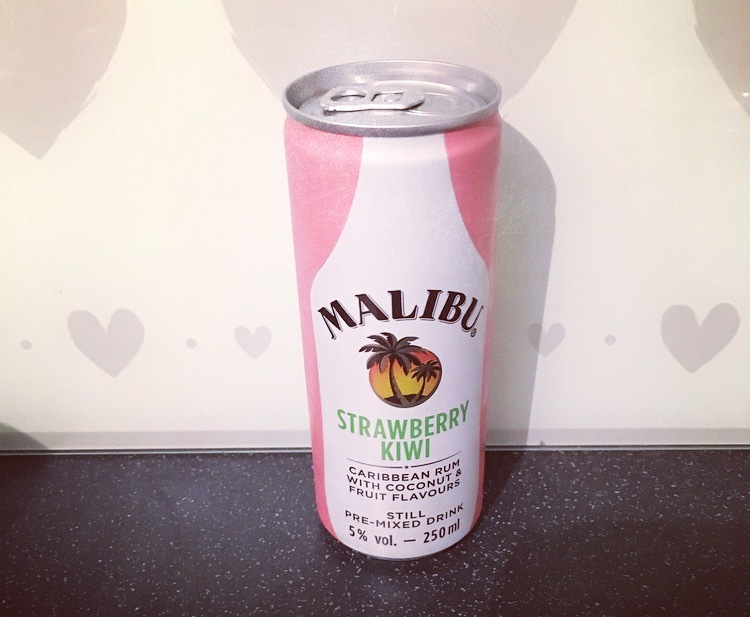 Edging us towards the summery side of things we now have Malibu Strawberry Kiwi. I love Malibu and without a doubt I have to have a bottle at Christmas, and I must say last year we were on top form with the Malibu based cocktails. 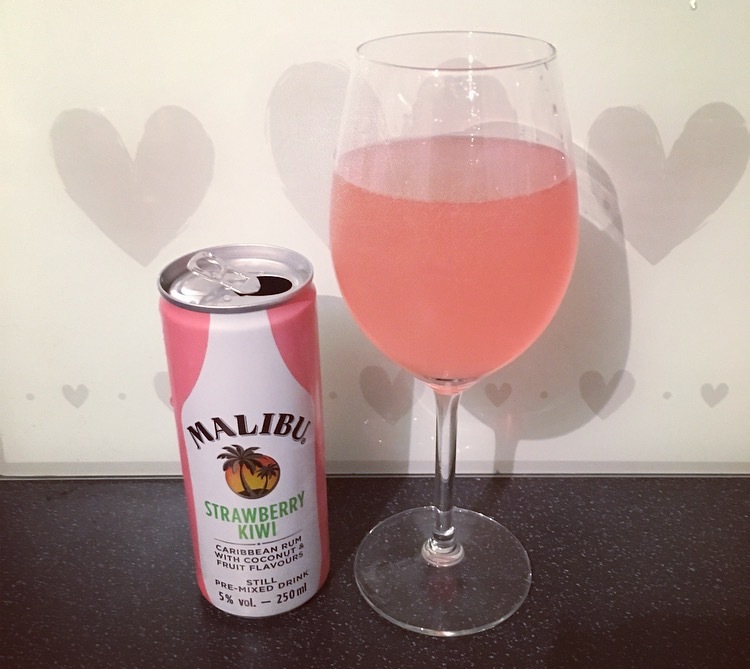 When I spied that Malibu were creating a new ready to drink number, I was rather enticed by their addition of strawberry and went on the hunt for a can. At £1.80 for 250ml it isn’t too bad a price and quite often the Supermarkets have all their ready to drink cans on some sort of offer. The pink can reflected in the drink which made it incredibly exciting, who doesn’t want a pink drink!! Giving a little sniff there was subtle hints of strawberry and coconut which just invited you to take a sip. Initially there was that alluring coconut flavour with undertones of strawberry but all of a sudden I was hit with a real sharp bitter taste, which completely cut through the smoothness of the initial flavours. Suspicious as to whether it was just a one off I took another mouthful and, you guessed it, exactly the same. I can only assume it is the kiwi element causing this, but whatever it was absolutely ruined the nicety of the strawberry and coconut and made it utterly undrinkable. What was a promising summery drink is not as it seems. Such a shame. 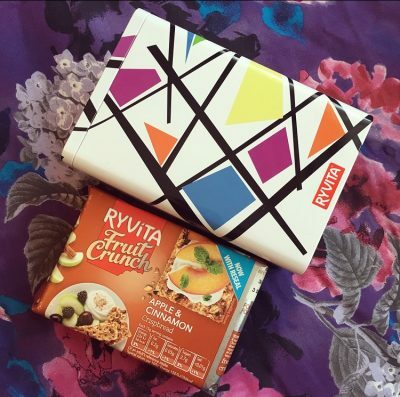 I’d love to hear if you have tried this and what your thoughts were. Is it just me that had this odd bitter taste? Leave your comments below!